Lichthund’s arcade-style spear thrower, Lichtspeer, made its debut on PC and the PlayStation 4 a little over a year ago. It was a single-player only affair that had you hurl “speers” of “licht” at Hipster Ice Giants, Viking Penguins, and more. 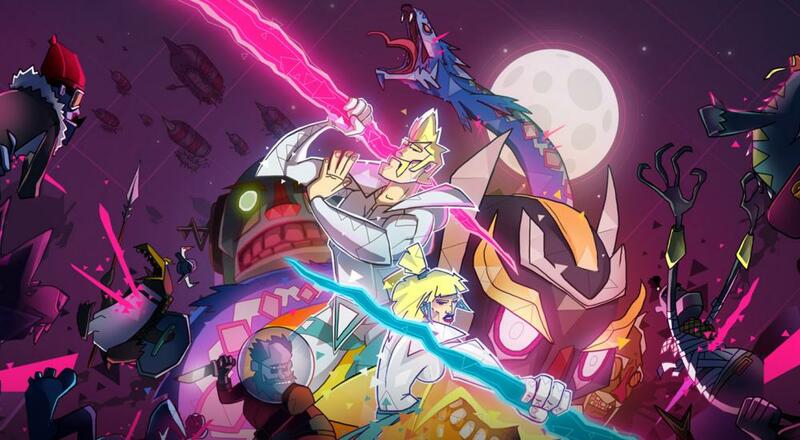 A couple weeks ago, Lichthund brought the title over to the Switch as Lichtspeer: Double Speer Edition and added a feature we’re definitely into: two player co-op. Here’s the good news, the entire gameplay can pretty much be summed in one sentence: your hero stands in place and throws the eponymous lichtspeers at all the enemies that come at you from the other side of the screen (or sometimes both sides). If they reach you, you lose, but you can restart right away with the press of a button so you can get back into the thick of it. There are a total of 13 levels you can play, including a handful of levels that culminate in a boss fight, and each level is further divided into 5 “stages.” Each stage pits you against a set number of enemies that come at you in a set pattern. Beat all the enemies and you progress to the next stage. It may not seem like much, but it is strangely addicting. After all, people spent thousands of dollars playing Missile Command back in the arcade heyday, and the idea here isn’t too far off from that. Where the skill of all this comes into play is how you stop those approaching foes. Holding down “A” shows you a short dotted line representing the speer’s initial trajectory when it leaves your hand. You have to fill in the rest of that arc and mentally calculate where it will land and whether it will hit the enemy or not. Landing a body shot on most foes is pretty easy, but getting a headshot, which usually results in an instant kill, is much more desirable and tougher to do. 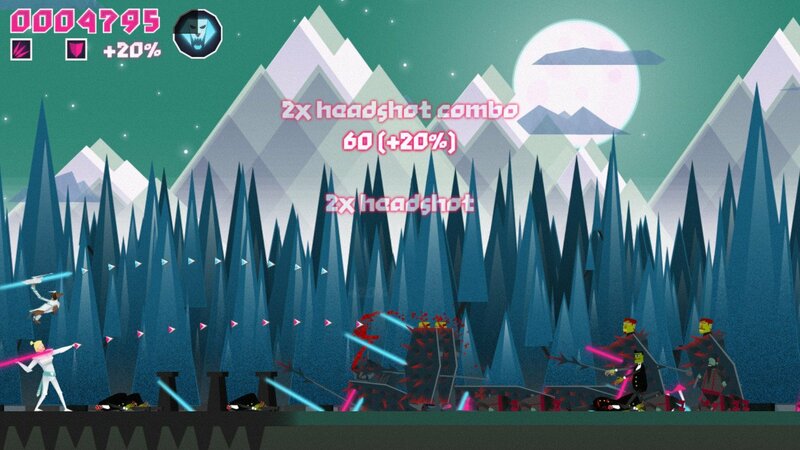 There’s an added incentive for scoring all those headshots, too, as you’ll get a higher score at the end of the level. That score turns into Licht Standard Denomination (or LSD) that can be spent at the in-game shop in between levels to buy and upgrade special abilities. These abilities range from the offensive, like transforming your speer into a “lichthammer” that causes an AoE explosion when it hits something, to the defensive, i.e., summoning a column of “pure licht” that acts as a good last-minute “oh no” move when that zombie you didn’t notice until now is about to eat your brains. All of these moves have an initial purchase cost to unlock, and can be further upgraded to reduce cooldown time or increasing their effectiveness, such as the hammer having a bigger explosion. There are three categories that these abilities fall under - “Attack,” “Uber,” and “Defense” - and you can only have one ability from each category equipped at any given time. You are free to replay levels and try and beat your old score as much as you want, and there’s definitely a “top of the leaderboard” mentality to learning the enemy patterns for a given level and knowing when to throw speers to maximize the points gained. However, if you’re more interested in just hopping in, playing a level or two, and then coming back again later, it’s well-suited for that, too. There’s no overarching story or save system that limits when you can record progress, so you’re free to spend as much or as little time as you want during a play session. All of this is true for the PC and PlayStation 4 versions of the game as it is for the Switch, but the real appeal here is the new couch co-op mode, which is unique/exclusive to the Switch version only. Page created in 0.8863 seconds.